The small Salvadoran village of Río Chiquito is located about 2 hours north of San Salvador in the cloud forests of “El Trifinio” Biosphere on the slopes of El Salvador´s highest mountain “El Pital”. The community is home to around 200 hard working farm families whose vegetable production and peach orchards blend in well with the natural cedar and hardwood forest and the abundant springs of fresh water. Located at 2,100 meters, (7,500 feet), the workshop will be held on a small permaculture farm run by Tobias Roberts and Yasmin Méndez. 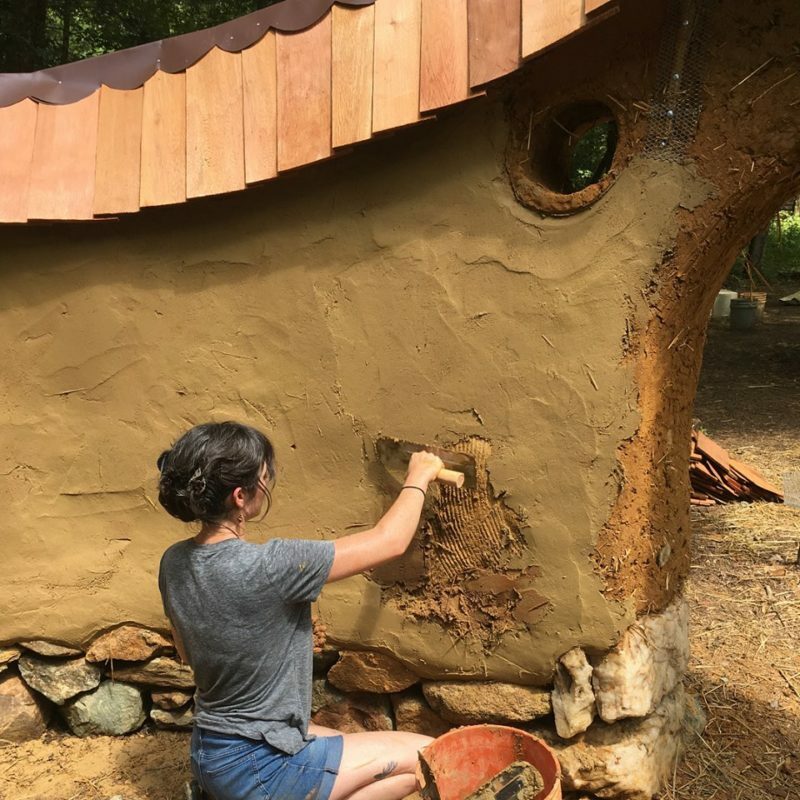 The “complete cob workshop” is designed to teach natural building techniques to folks from “the outside” who are interested in discovering how to live more sustainably through learning how to build their own homes. 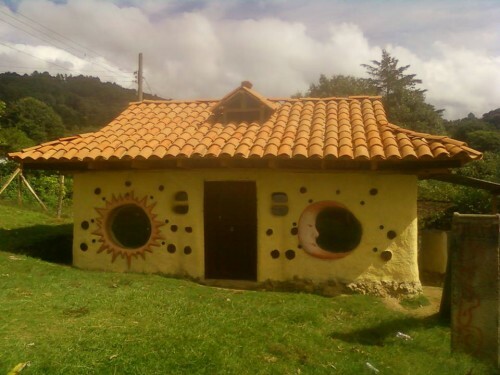 It is also an opportunity to introduce building with cob to young people in Rio Chiquito as a complement to traditional adobe homes and as a way to stimulate pride in vernacular architecture. During the workshop, we will be working on two different houses. The main construction will be of a permaculture learning center at the farm. This center will implement passive solar design, cob and wattle and daub construction, gray-water recycling, water harvesting, rain-water catchment, and composting toilets. Though the workshop won´t work directly on all of these aspects of sustainable living, we will explain how the process of design plans for all of these issues. We will also be restoring another traditional adobe home re-plastering (both with cob and lime) the finished walls and pouring an adobe floor. The workshop hopes to draw between 10-15 participants. A group of 4 local builders will also participate in the workshop in the hope to start up a natural building cooperative in the community. The workshop will be led by Tobias Roberts and Yasmin Méndez. 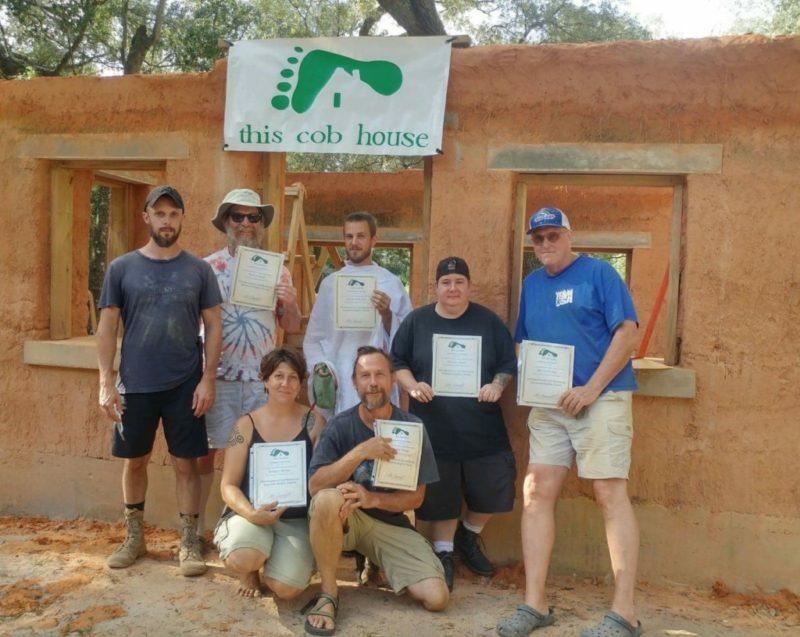 Tobias participated in a cob workshop led by Diane Jennings of Disputanta Cob in 2011 and has since built 5 different cob houses while working with different non-profit organizations in Guatemala together with Yasmin. Apart from running their permaculture farm, they also run a natural building consulting/contracting business. You can see some of their cob construction work at www.facebook.com/cobinguatemala. Furthermore, workshop participants will be given the choice between camping near the sight of the construction of the cultural center or staying in a local hotel in Rio Chiquito. We will begin each day with breakfast a 7:00 AM and begin work around 8:00 AM. We will break for lunch around noon and finish working around 4:00 PM each day of the workshop. The price of the complete cob workshop covers three meals a day and snacks, fresh water available all day long, lodging in local hotels or camping sites, transportation from the airport in San Salvador to Rio Chiquito and vice versa by van, and all construction costs for the cob workshop including all tools to be used. 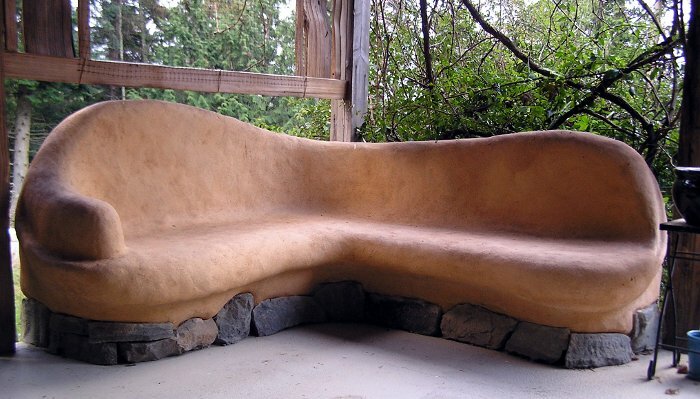 Workshop participants will also receive an electronic copy of the book “Building with Cob: A step by step guide” by Adam Weisman and Katy Bryce and the cob classic “The Hand Sculpted House” by Ianto Evans. Furthermore, workshop participants will have the priceless opportunity to experience the wonderful hospitality of the Salvadoran people. « Build the First Cob Permaculture Boutique in Senegal, West Africa!